When you think of Facebook for your business, you probably think of Facebook Pages. But are you a member of any Facebook Groups? If not, consider this post a little push because Pages and Groups can go hand-in-hand to boost your Facebook marketing efforts. 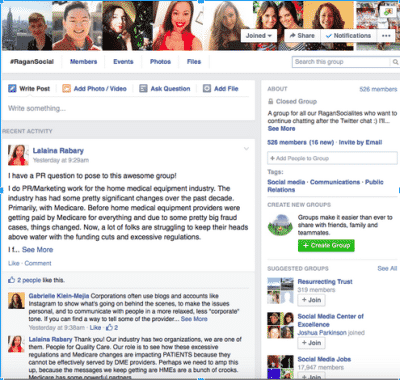 Facebook Groups are a popular way for small groups to organize and communicate. I’ve seen groups organized around causes, events and social groups, like book clubs. But Facebook Groups can also be a powerful way for business owners to connect with their customers and followers, or to colleagues in professional organizations. In a 2014 earnings call, Mark Zuckerberg told investors that there were 700 million people using Facebook Groups every month. That’s, obviously, a huge number. When you start looking around for groups to join, you might find some that look interesting but that are “closed.” Don’t let that dissuade you from requesting to join. Most of the Facebook Groups I’ve looked at happen to be closed but requests to join are answered pretty quickly. Keeping them closed is just a way to keep spammers and trolls out. Here are five ways joining a Facebook Group can add value to your business or personal brand. Ragan Communications has a group called #RaganSocial that serves as a place for professionals to share their expertise. In the example below, a member asks a fairly detailed question, looking for advice about how to shift attitudes about the sector she works in: home medical equipment. She received a handful of thoughtful replies that, presumably, helped her find some solutions to her challenge. If I were a restaurant, grocer or someone who owned a bar in Reno, Nevada (where ShortStack is based) I’d be keeping an eye on what’s happening in the really active Reno Foodies group. There are discussions about the best place to buy certain foods, people looking for recipes and restaurants to try, and in search of beer and wine recommendations. The group has multiple posts going up every day and the conversation is generally pretty robust. Using social media purely as a promotional tool is a no-no. We all know that. But Post Planner has created a group specifically aimed at educating their users where they naturally have an opportunity to share their content. The Post Planner crew is on hand to answer basic questions about the platform, and give power users a place to share their experiences and expertise. When it’s appropriate, the guys also steer members to blog posts and other content. In any group there will be a handful of members who do most of the heavy lifting. This is just as true in the virtual world as it is in the real world! Keep an eye on the people in your Facebook groups who might be potential brand ambassadors and work to cultivate relationships with them. Consider interviewing them for your blog. 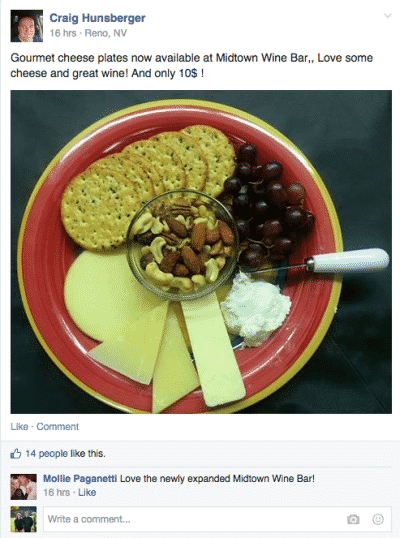 Or showcase their product or services on your Facebook page (they’re likely to do the same for you). You could also give them a behind-the-scenes look at your company culture, product or service so they can talk about you to their followers. • Questions. Let’s say you’re planning a social event for your group and you want to know if members are interested in lunch or happy hour. You could use the Questions feature to poll members about their preference, ask them to choose from a list of restaurants. • Files. You can post files you’d like to share with group members, e.g., documents and presentations. All you have to do is click the “Add File” icon (you can also share Dropbox files). 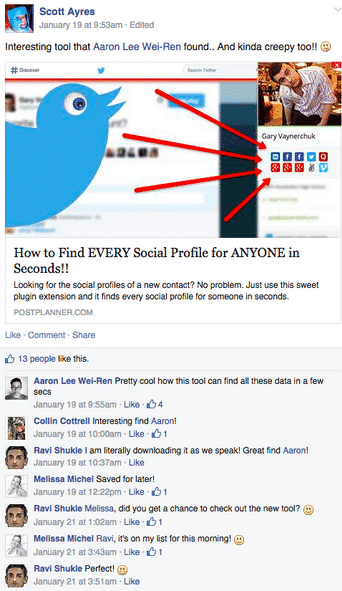 So there you have it: A few ways you can use Facebook groups for your business. Are any of you members of Facebook groups? Has a group helped you with your business? Which features do you find most useful? Please let me know!